The scope of 14 years of professional experience includes training, education counselling, event management, recruiting, business development,records management, market research, customer service, social media and marketing communications. Mohamad holds extensive experience in operating within a multi-cultural multi-faceted business environment, which allowed him to manage hundreds of successful student applications. 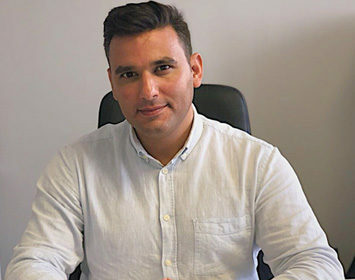 Mohamed holds a Bachelor of Arts in Law from Beirut Arab University with honours, a Diploma in Business Management from Oxford College Sydney, and a Master of International Trade Law from the University of Technology Sydney. Mohamed was also offered the chance to be the first honouree from the Middle-East to give the farewell ceremony speech in Autumn 2008 on behalf of UTS international students. Mohamed has successfully completed the ICEF Agent Training Course Formal Test and has become an ICEF Trained Agent Counsellor (#ITAC 0257). Ryan is a highly qualified and experienced senior education counselor with particular expertise in the GCC market framework and dynamics. During his studies, Ryan was also the student brand manager for Red Bull at the American University in Dubai, where he educated students about the brand and organized many events on campus. In addition to his first degree in Business Management at the American University in Dubai, Ryan is an ICEF trained education counselor and a certified marketer, who provides individual career coaching sessions and ongoing support with students concerned about their future educational path. He offers support in areas such as selecting university placements, carrying out a comprehensive application process and ensuring the right placement for each student. Ryan is also responsible for developing, implementing and executing strategic marketing plans for the organization. Melissa Yacoub is an ICEF certified Senior Education Counselor at Studypedia. She is the representative of the company in London, UK and attends to the company’s overseas needs. She started out as an intern in charge of administrative tasks but her position quickly grew to include Education Counseling through Resume polishing and Personal Statement reviewing. She is in charge of meeting with students and perfecting their application to ensure their acceptance to the universities of choice. Melissa graduated from the American University of Beirut and has certificates in Leadership Facilitation as well as experience in Human Resource Management & Recruitment that gives her the necessary skills to help tailor the ideal ‘CV’ and ‘Cover Letter’ for students/professionals. She assists students with orientation to their university of choice and provides services to mentor their educational journey. Rana is a marketing and advertising graduate from AUST. 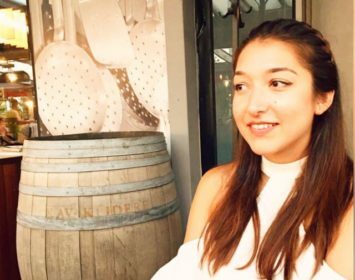 She started as an intern and due to her effervescent personality and enthusiasm in regards of her work she rapidly grew to be a marketing executive. Rana has been an incredible addition to the team because of her knowledge in all of the newly adopted marketing techniques. She is always eager to learn and to keep up with all of the social media trends. This is how she became the head of our social media platforms. She handles the content and design all of our social media posts while managing her team of interns. It is also imperative to add that Rana was working in the Banking Sector. Her experience with Blom Bank enhanced her mastery in our work realm. 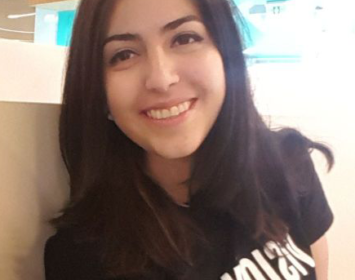 Nour is a Biology graduate and an AMIDEAST English Access Microscholarship alumna who started off her career as a Medical Representative in health-care. Her engagement with stakeholders in the medical field nurtured her belief that every interaction with a client is a chance to make someone’s life better. Her passion for education led her to become a Senior Educational Consultant with Cambridge University Press agents in Lebanon. Driven by promoting the advancement of the Lebanese educational sector, she implemented Cambridge English programs and examinations in schools, universities and language institutes for three years. Delivering high standard programs and international learning opportunities to a large number of Lebanese students was her main purpose. 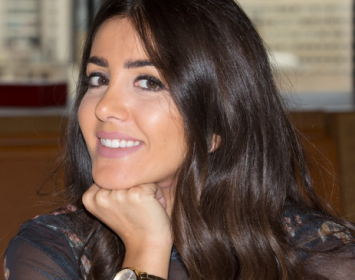 Nour now invests her skills and expertise in helping students realize their full potential by guiding them to explore a wide range of academic choices and find their true calling and inspiration. Mehdi is a Marketing graduate from the Lebanese American University. He underwent more than 5 internships during his studies and one of them was at Studypedia. He has excellent communication skills and is fluent in English, Arabic and German. 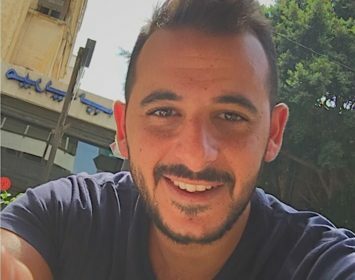 Aside from Studypedia, he is an environmental activist and he is running a couple of small businesses in the Lebanese tourism sector. 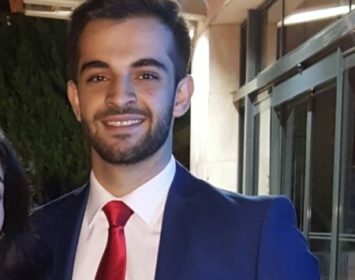 Mehdi was also the captain of the LAU Handball Varsity Team and he has participated in 7 international handball tournaments and 2 first division tournaments in Lebanon. He is very passionate for travel and aviation and his goals in life are to tour every single country in the world and to pursue a private pilot license. He is also an excellent chef and a passionate artist. Ready to Study Far & Wide ?